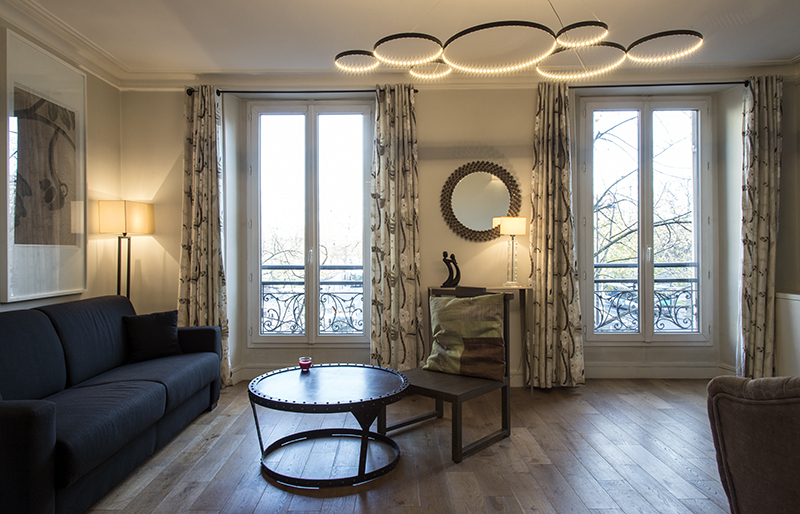 This very chic Parisian apartment is located in the 7th district of Paris between the Eiffel Tower and the Military Academy, one bridge away from the spectacular Avenue des Champs Elysées. The apartment is on the the 2nd floor with elevator ( US 3rd florr ). 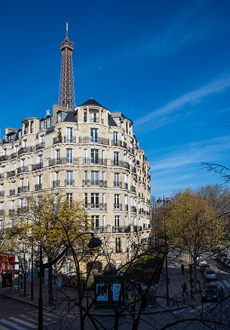 It is oriented east and overlooks Champs de Mars garden and Eiffel tower, quiet and bright. Kitchen with all necessary appliances. Living room with Queen size fold out couch – dining room area. Bedroom with QUEEN SIZE BED – brand new -. 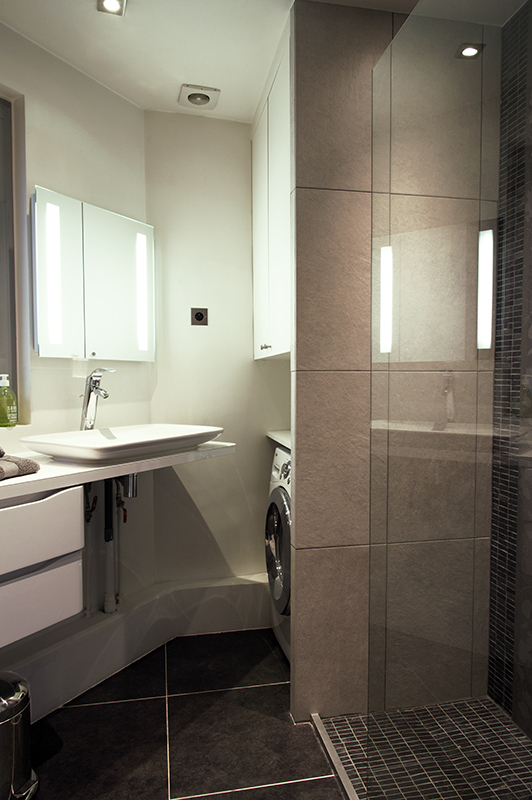 Bathroom with a confortable bath – shower – washer / dryer and toilet. 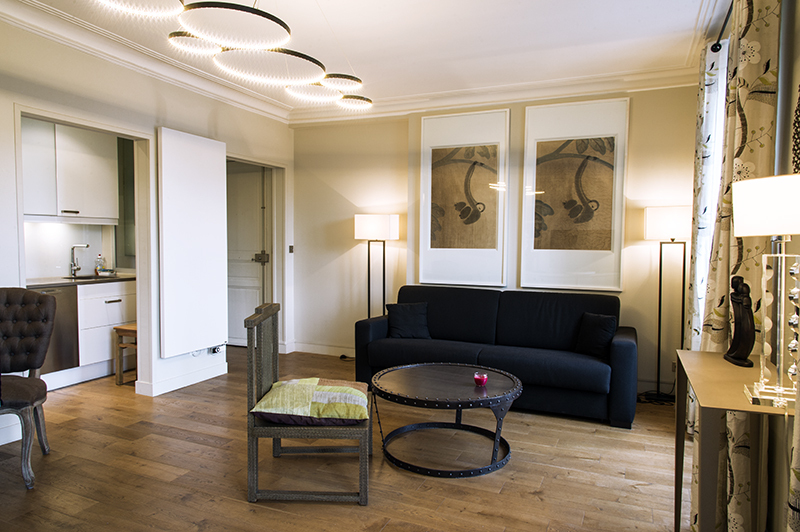 All together 45 square meters of comfort, ideal for chilling out after a day exploring Paris! I successfully received your refund from paypal this morning into our bank account. Thank you very much. 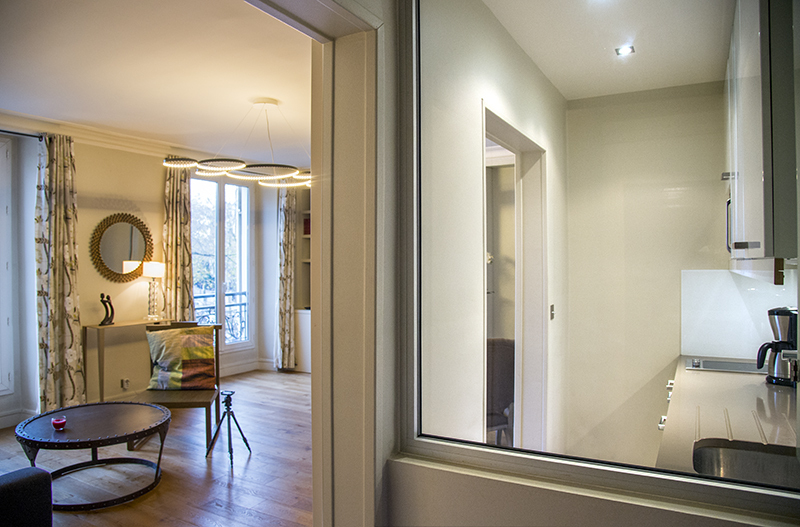 We very much enjoyed your well-located, comfortable and lovely apartment during our week in Paris. And thanks most especially to Eric for his kind and good-humored welcome during our stressful arrival experience. He certainly helped get us transitioned into the right attitude. I have enjoyed working with you both. 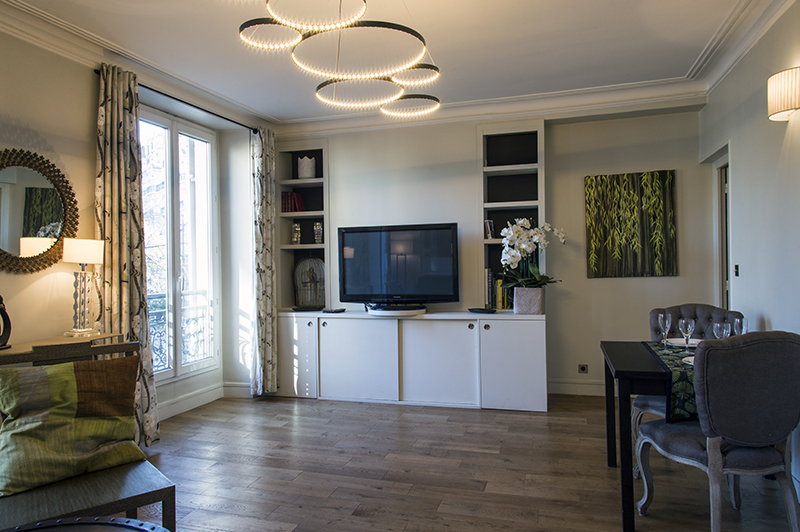 Having stayed in a variety of apartments and arrondissements during previous trips to Paris, we found this apartment to be in a perfect location, clean and well equipped. As a couple travelling with a teenage daughter, it worked out perfectly. The sofa bed was comfortable for her. The assortment of reading material was a nice and handy addition to the apartment. From the first point of contact to receiving us at the apartment, we found the rental process to be well organized and both Eric and Louis were extremely helpful. 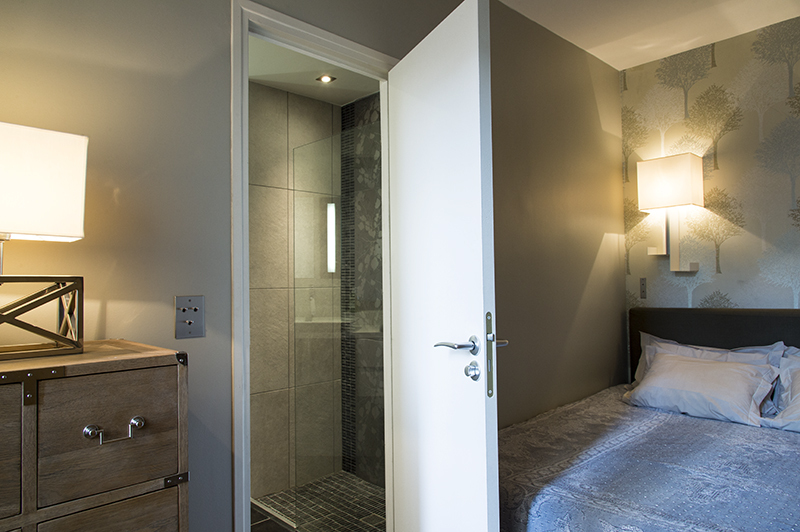 We will certainly recommend this apartment to friends and family. Finally, I was making my long time bucket list trip to Paris…a trip I have been dreaming about for years. I was making the trip with my cousin (more like a sister) and we decided to rent a VRBO property. I had never been to Paris and I had never rented a VRBO before either. The only thing I knew was that I wanted to be near the Eiffel Tower. I stumbled upon this apartment and it looked very inviting. I inquired and Louis was very responsive. From the beginning, Louis was a pleasure to work with. He was prompt and helpful. He helped with our transport from the airport. When we arrived at the apartment, we were greeted by Louis, who showed us around the apartment, told us about the neighborhood and where we could find stores and restaurants etc. …so very helpful! 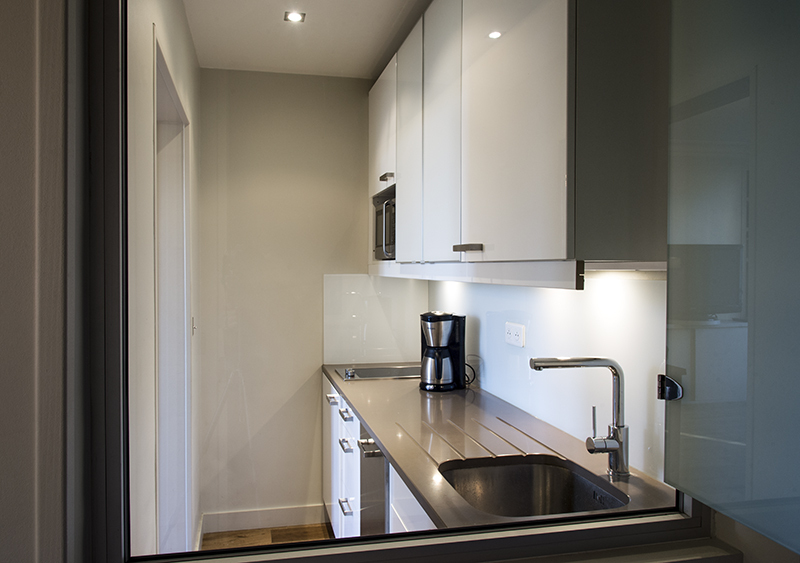 The apartment is clean, modern, comfortable and spacious. It is a very convenient location. The Eiffel Tower is visible from the living room window and it is literally around the corner. The metro station is approximately a 5 minute walk and you can get anywhere from there. There are two restaurants right downstairs, but food shops all around if you want to put your own meals together. The apartment is on the 2nd floor (3rd floor in US), but there is an elevator which worked perfectly. There is no air conditioning in the unit, but it really was not too warm at all…I am not comfortable in heat, so I was concerned, but it was fine. The first day we were there was the warmest and the two fans were plenty. After that we did not need them at all. I would not hesitate to rent this apartment again. It had everything we needed and was in a great location. Louis is the absolute best. I only wish I could have stayed longer! My husband and I took our 12 yr. old granddaughter to Europe this past August and we spent four days in Paris. It was a perfect apartment for us and it was exactly as pictured. It was my first time using Home Away and Louis was responsive and helpful in every way. From my first inquiry to the refund of our damage deposit, he handled everything perfectly. We also booked his transportation from the train station and to the airport. Once again everything went smoothly. Our drivers were prompt and courteous, the SUV’s were clean and comfortable and there was no stress on our part. Louis met us at the apartment and he welcomed us to Paris and explained everything we needed to know about the apartment as well as recommending restaurants and nearby grocery stores, bakeries etc. 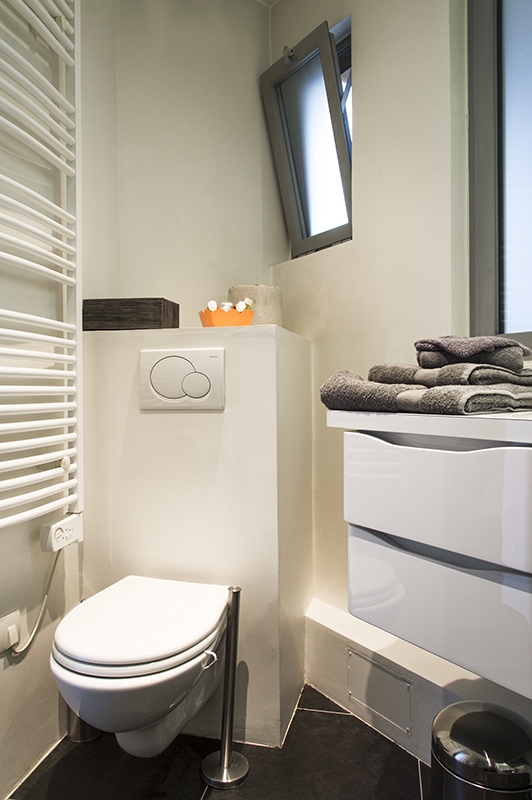 The wireless worked very well and having the washer/dryer was so convenient. As Americans I must say that the ice trays were an added bonus for us as we love our beverages “cold”. We were there during some extremely hot days, but we were comfortable with the fans and the large windows. The kitchen was well equipped from dishes, wine glasses, silverware etc. There is a grocery store about two or three blocks away (the U something) and then there is the Monoprix within walking distance (perhaps a 10 min. walk). There is also a grand bakery a couple of blocks down Ave de Sufren that has wonderful pastries for breakfast. The Metro stops are nearby and there are buses which stop in front of the apartment. The partial view of the Eiffel Tower is magnificent. Watching it sparkle for 5 minutes on the hour was a magical way to end an evening. We enjoyed the Pizza and salads at the cafe below the apartment and also had a good dinner at the Cafe de Sufren. Our only regret was that we couldn’t stay longer. We think this apartment is grand and we think Louis is the BEST. We visited Paris with our 10 year old daughter as a present for her upcoming birthday, we booked the apartment as it was advertised that it is close to the Eiffel Tower and it didn’t disappoint us, it was only 2 minutes walk and a lovely view from the beautiful Parisian style balcony. 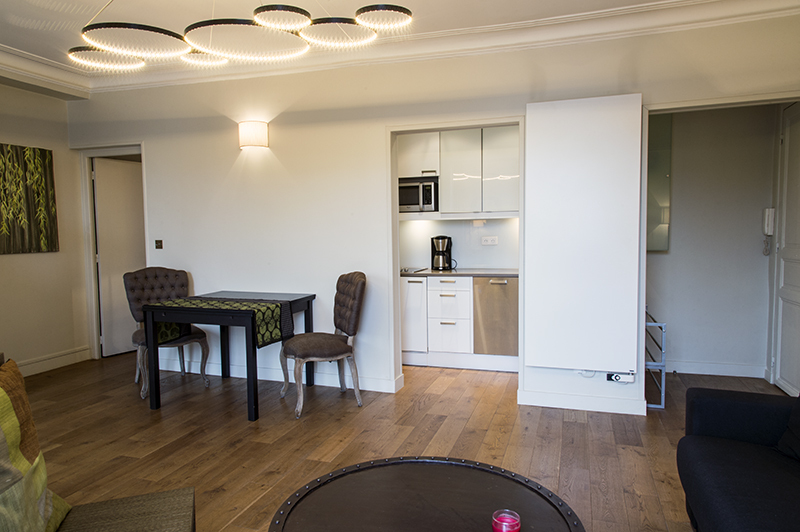 The apartment was spacious, very well equipped, clean and the decor was fantastic. Both Louis and Erik were very helpful and prompt with their communication. 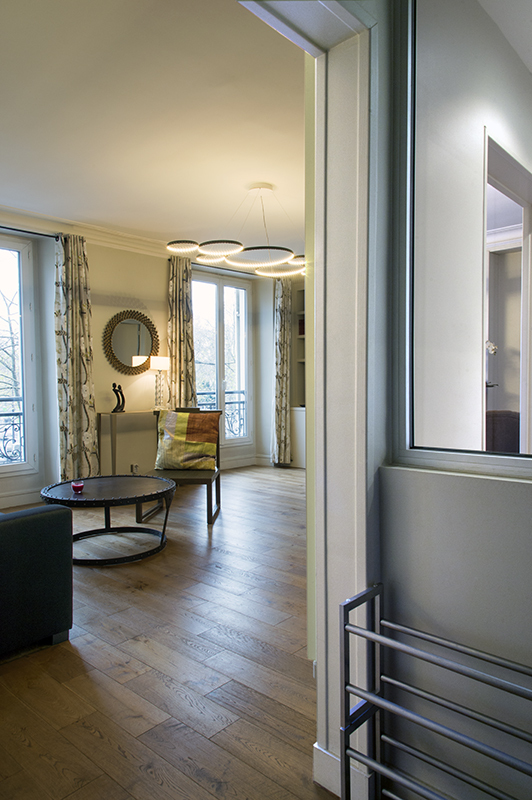 We definitely would like to stay there again in our next visit and highly recommend it if you want to be next to the Eiffel Tower and also to walking distance to some of the other Paris attractions. Balard and get off at La Motte Picquet Grenelle. Charles de Gaulle Etoile. Get off at La Motte Picquet Grenelle. Charles de Gaulle Etoile Get off at La Motte Picquet Grenelle. Balard. Get off at La Motte Picquet Grenelle. Nearest convenience store in front of the building apartment on the Suffren Avenue and Desaix street. 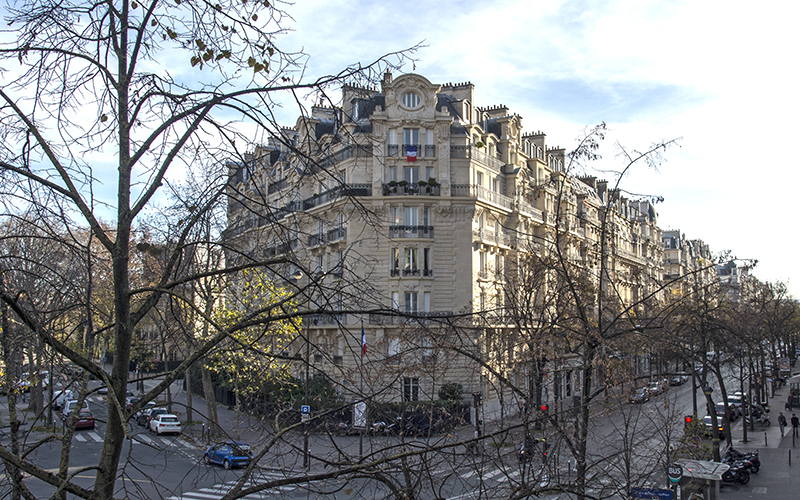 By avenue de Suffren and its neighborhood you will be able to find all the facilities and shops you will need for your stay. However I will be sharing with you my favorites spots. le Café Constant 139 rue St Dominique – 75007 PARIS famous cook from Toulouse open there 3 restaurants in the street. for me the best of the 3 for according food and price. L’Ambassade d’Auvergne 22 rue du Grenier Saint Lazare – 75003 – Booking 01 42 72 31 22. La thailandaise ( Thai food ) Probably the best one in the city. 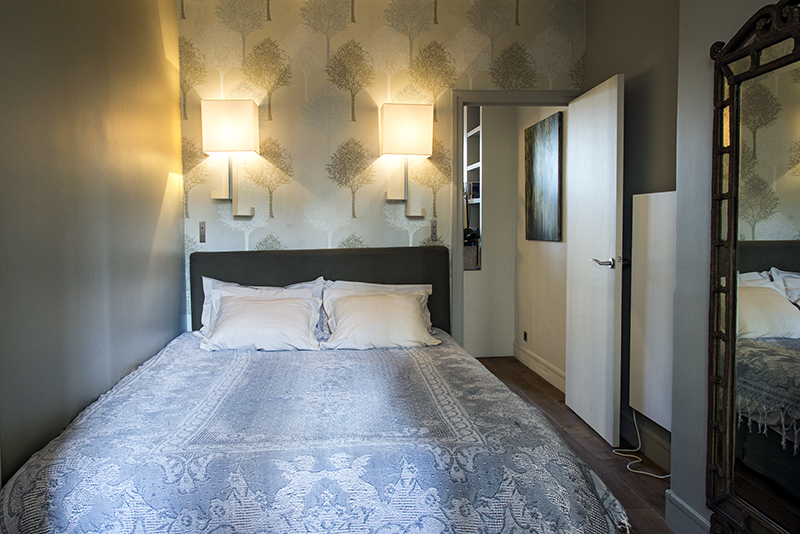 1 rue de l’avre – 75015 – Booking 01 45 77 36 78. Ask for PAK, he does speak english. Organize your own apéritif or picnic on the Champs de Mars as I do few times a year during spring and summer. From Champs de Mars ( Departure point Av de Suffren and AV. Joseph Bouvard ). A beautiful ride through the Esplanade des Invalides, boulevard Saint Germain, rue du Bac, then you will cross the river Seine, until the Louvre museum, la place du Châtelet, l’Hôtel de Ville, Saint Paul area, Marais district and Bastille square.